I saw this article, Secrets of the Creative Brain, on the blog Side by Side in Mental Health. It took me some time to read it, because it’s a bit long, but I found it curious. Although it didn’t answer some of the questions – the study is ongoing – it does shed some light on the type of research and techniques that are being used to find out more about creativity and mental illness. For me the link between creativity and mental illness has always been there. I grew up in a family whose members were all intelligent and creative but also suffered from different mental illnesses. Me, I’m no exception. I always saw myself as very creative and smart. I taught myself to read and write and at 4 I wrote my first poems. Yes, they were full of spelling mistakes, but they rhymed. In elementary school I started writing a collection of books much like the Nancy Drew mysteries. As I reached puberty, I created a magazine for teenage girls and started writing “serious” novels. At 15 I convinced my mother to buy me a guitar and find me guitar lessons. So until I finished college I wrote dozens of songs and hundreds of song lyrics. College was very prolific. I wrote poems in Portuguese, English and French. I decided I had a very short breath when it came to writing and went on to write dozens of short stories. I’m still proud of some of them after all these years. After college I started working full time and realized I missed being a sweet child who did ballet, so I went back to dance classes. Sometimes I still fall asleep making up dance routines in my head (that I obviously don’t remember anymore when I wake up the next morning). I took my bachelor’s in Literature, but I could have taken anything else as long as it wasn’t anything related to design and graphic arts (I couldn’t draw a decent picture even if I had a gun pointed at me). But I was good in Math and Sciences. I used to solve equations much like I solve Sudoku puzzles now – just for entertainment. I’m fascinated by Physics, Biology, Neurosciences, Psychology, History, Philosophy, Cinema, Photography, you name it. I could be talking about the Higgs Boson one minute and the other minute I’m talking about Freud. But of course there’s this whole other side. Anxiety consumes me. In the 9th grade I remember spending most of the mornings crying. It was the first time ever that most of my classes were in the afternoon and I realized that unless I’d wake up early in the morning and turned on the autopilot, this inexplicable darkness would fall over me. I think this was the first time I experienced being depressed. Shortly after that I started suffering from insomnia. Some years later when I was 20 I got so depressed I thought about killing myself. This thought would haunt me again at least twice in the following years. During my 20’s I also worried about my needing alcohol to relax. It ended up being just a phase but it was scary. I wasn’t drinking a glass of wine or two because I liked it, I was drinking because I needed it. And of course, there was that weird memory loss I wrote about earlier. I live with many ghosts. My grandmother had paranoid schizophrenia and so did one of my uncles. My other uncle is an alcoholic who also lives with bipolar disorder. My mother and her older brother both suffer from severe depression. My sister lives with social anxiety, and falls in the borderline category. Today I found out my neuro described me as bipolar to another neuro. My first reaction was, “Why has everyone kept this a secret from me all these years?” Then I realized she probably just mistook my anxiety for mild mania. I’m anything but bipolar because I just don’t have the energy for euphoria. I don’t steal money from my relatives to spend on god knows what and I don’t disappear for days and end up calling people to tell them I’m in some city many miles from home. My uncle does this and more. But my first reaction was to doubt myself. My first reaction was to think my psychiatrist, my therapists, my mother suspected I was bipolar but didn’t tell me. And then I realized there’s maybe a little paranoia in this thought. Just a tiny word written on paper, and suddenly all the demons I’ve been living with waved at me. But you know what? Maybe I have a little bit of all these conditions living in me. And maybe they’re adaptive, as in one of the characteristics is more prominent during a specific time in my life, only to fade away and make room for another characteristic as I go through something different. Lately it’s like daydreaming and dissociating are helping me cope with stress, but I remember when I bought my apartment and moved in by myself compulsive behavior helped me deal with the fear of whatever might go wrong before I got used to being on my own. As the author of the article recalls, “Heston and I discussed whether some particularly creative people owe their gifts to a subclinical variant of schizophrenia that loosens their associative links sufficiently to enhance their creativity but not enough to make them mentally ill.” Maybe this will prove to be true in many areas, and my demons will finally be able to rest. When I started reflecting and writing about my hermit mode, I also searched for what others were saying about loneliness and aloneness. I ended up purchasing this book and when it arrived I couldn’t put it down. 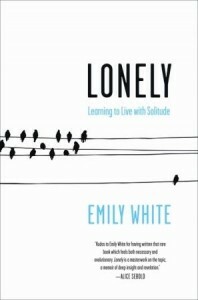 What makes it so enjoyable, interesting and easy to read is that Emily White perfectly intertwines research on loneliness with her life story. Up to a certain point I was surprised by how many things I seemed to have in common with her. Divorced parents and a distant father, long periods of solitude during childhood (though for different reasons), a normal social life during high school and college but not really connecting, and finally a job that involves spending long hours alone. The author makes it a case that chronic loneliness should be considered a mental health issue, much like depression, as there is genetic evidence some people are more prone to it than others. Studies also suggest that chronic loneliness can lead to cognitive and behavioral changes, high blood pressure, early dementia and several other ailments. She also stresses that loneliness and depression don’t necessarily go hand in hand. 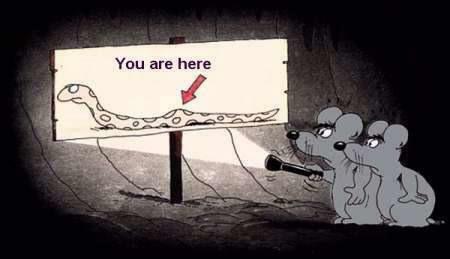 You can be depressed without feeling lonely, and you can be lonely without being clinically depressed. Either way, there is such a stigma about lonely people (they lack social skills, they are unattractive, they are psychopaths planning their next murder, it’s their fault they’re lonely and so on and so on and so on) that no one talks about it and raises awareness. Lonely people feel ashamed of their state, and they have reasons for it. And here comes one of my favorite parts of the book. 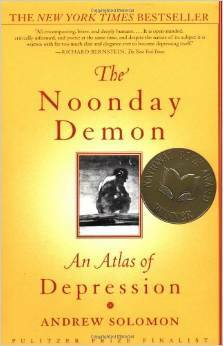 The author criticizes much of the self-help literature out there because it makes the lonely person feel responsible for their pain. 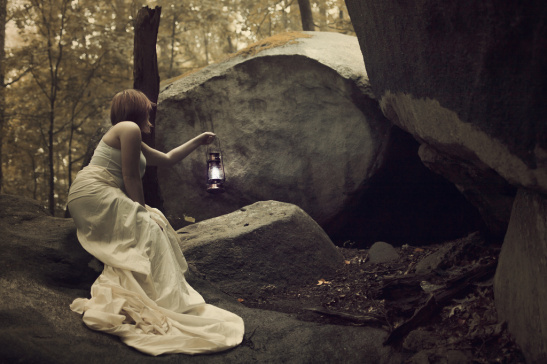 Some of it glorify solitude as a chance for self-discovery and self-nurturing, totally missing the point. The other half takes another approach by telling lonely people that “it’s in your hands,” “it’s within your reach” to make yourself feel better, as if you can overcome by yourself things over which you have no control. This is particularly dear to me because I fell in that trap. Thankfully my therapist deconstructed that ingrained belief because I used to feel responsible for everything that happened to me and in my life. I felt responsible for being sick and sometimes I still feel responsible for my MS not listening to me and to how I take so much better care of myself now. (Like “what am I doing wrong?” Answer: nothing.) The truth is unemployment, poverty, illness, and other factors can cage people in, and sometimes there isn’t much they can do. The book ends on a bittersweet note. Much as I thought would happen with multiple sclerosis, Emily White thought that after reading and researching so much on loneliness she would be able to keep it at bay. But although she overcame the worst of her loneliness, she still feels it lurking, waiting for a moment she looks away to settle in again. And once again she says that maybe, in this case, help can only come from the outside.